iTunes is not the only way to add photos to iPad. It is hard to sync photos to iPad unless you know the tricks. Of course, there are some other easier ways to make it. Why not follow this article and find the most suitable method for your iPad? Are you only familiar with iTunes as iOS transfer software? You are outdated! It’s time to change your way of connecting iOS devices by using iOS Transfer Tool, for example, iMyFone TunesMate. Your problem of syncing photos to iPad from PC will be solved with this software. You can sync all or some specific photos to iPad. You will not lose any existing photo or any other data from iPad while transferring. You can sync photos onto iPad from different places: computers, external hard drive, etc. 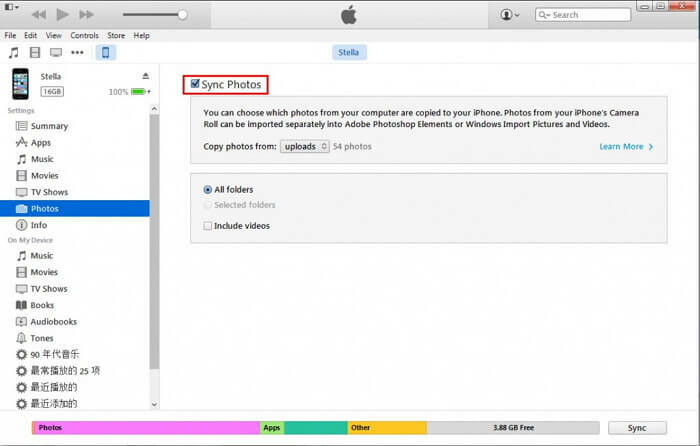 Let’s have a look on how to sync photos to iPad from PC in a professional way. Step 1: Install iMyFone TunesMate application if it’s not available in your computer first. Plug in you iPad and open the software. Step 2: Choose the tab of ‘Photos’ from top menu and go to “Photo Library” from the left sidebar. Step 3: Click “Add > Add File/Folder” button to sync the photos available in your PC, after locating press ‘OK’. You can add or remove photos easily, just a click away. You can preview your photos and decide what to add or what not. You can manage photos folder with its dedicated name. 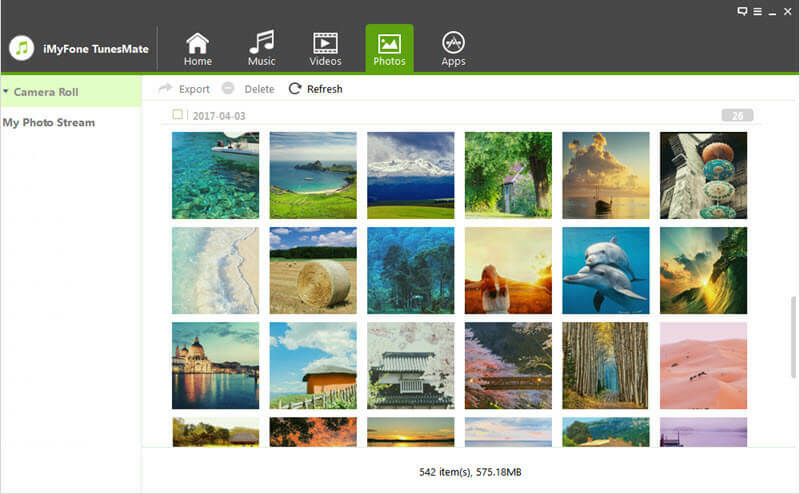 You can also create photos backup along with transferring to your PC. Handling iPad or syncing it with computer has never been so easy, just because it requires a click away. So, make your life easy and switch to this software to manage photos on your iDevice. It also supports to transfer or manage your iPhone media files, like music, videos, audiobooks, playlist, podcasts, etc. iTunes is primary software to sync photos onto iPad. Just because of its tricky user interface people gets irritated but somehow this is another way out. Install latest version of iTunes in your computer. Plug In your iPad to your computer via supported USB cable. Your connected device will be shown in upper left corner, click on it and setting options will appear (Apps, Music, Movies, TV Shows, Podcast, Photos & Info). Click “Photos” tab from the setting. Now in the main window of iTunes ‘Sync Photos’ option will appear, check it and click on “Sync” button at the bottom and you are DONE. Please make sure the “iCloud Photos Library” on your iPad is off, or this method is not available for you. Go to “Settings > iCloud > Photos” on your iPad to check it. The synced photos cannot be deleted from iPad. You can simply sync photos to iPad via iCloud Photo Library, another way out of your problem. Step 1: Make sure the “iCloud Photos Library” is enabled on your computer. Note: On Mac, click “Apple” menu, then “System Preferences” and then “iCloud”. Tick “Photos” in the control panel. On Windows, install the iCloud and open it. Tick “iCloud Photo Library”. Or you can go to iCloud.com via the web on your computer to add new photos. Step 2: Connect your iPad on a Wi-Fi. Step 3: On iPad go to Settings > iCloud > Photos and switch on iCloud photos library. Whenever a new photos is added to iCloud on your computer, iPhone or iPad, new photos will be downloaded into all your devices signing into the same account. This may be limits if you want to sync photos just to your iPad but not other devices as well. iCloud photo sharing is a way to sync photos to iPad from iPhoto or Aperture On Mac. On your iPad, go to “Settings > Photos & Camera”. 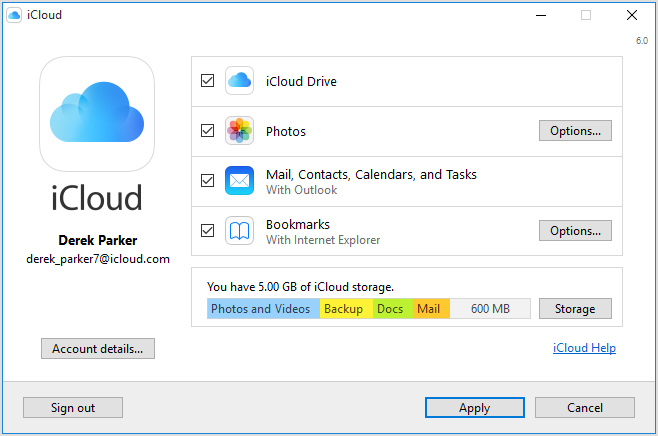 Enable “iCloud Photo Library” and iCloud Photo Sharing”. On your Mac, open iPhoto or Aperture. Check the photos you want to sync. 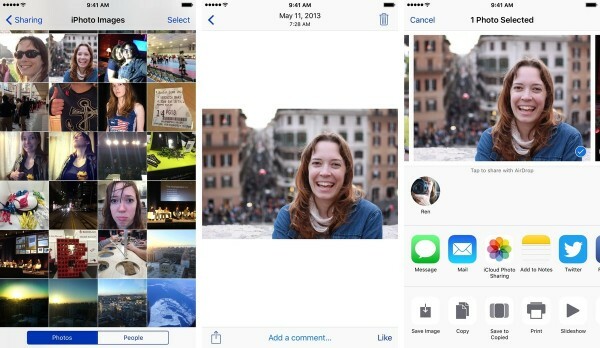 Hit “Add To > iCloud”/”Share > iCloud” to create a new shared photo stream. Name the stream. Add your Apple ID to share. On your iPad, open “Photos” app and go to “Shared” tap at the bottom. You can find the photos from iPhoto or Aperture. You can download the photos to your iPad by choosing photos, clicking “Share” button and then “Save Image”. But note that, as the iCloud Photo Library is enabled, the downloaded photos will be added into iCloud Photo Library as well. Of course, there are more than one way to sync photos to iPad. But not all of them are suitable for you. Some of the ways have limitations, like only suitable for Mac, may occupy storage on other iDevice, etc. But for all users, it is suggested to consider the iPad transfer tool to sync photos to iPad as it does not have any limits.